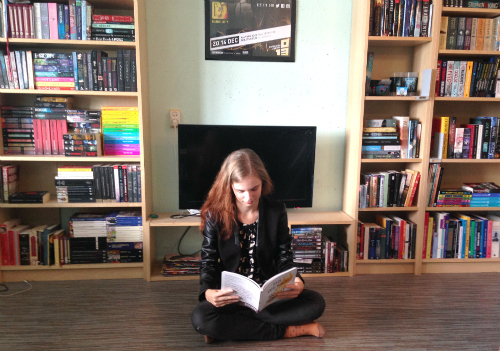 Zola is one of the big guys in naturalism, and Nana is one of his most “shocking” books. I can totally see why Nana would be shocking for Zola’s contemporaries. The main character is a prostitute, though she doesn’t see herself as one most of the time, and she appears naked throughout the story pretty often. The amount of men that she does (off page, of course) is by the end of the novel probably in the dozens, if not hundreds. Generally I enjoyed the story, though it was a bit boring and nothing happened, until about three-quarters in. Most of the book we just follow Nana around, seeing her wind some men around her pinky finger, seeing her trying to be something she’s not, and basically just doing her prostitute thing with her prostitute friends. This wasn’t really the most exciting reading material I’ve come across, but it was entertaining enough to see the men making utter fools of themselves to get a moment alone with Nana. 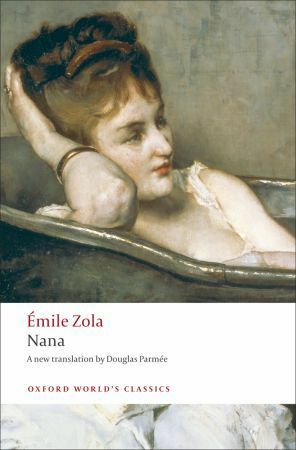 Then, after about three-hundred pages in, Zola realised that he hadn’t made his message clear yet, and he started pounding into our heads that Nana is a disgusting and terrible person that’s defiling society. Truly, as I see it, Nana isn’t such a bad person at all. Yes, she’s petty. She’s a hypocrite. She is utterly childish. But from the first three-hundred pages or so I never had the impression that she meant any harm. She kinda knows what kind of effect she has on men, and of course she flirts with them and sleeps with them at any time she feels like it, but I didn’t see anything particularly bad about her. She’s very fickle in her affections, but more often than not it felt as if she did feel affectionate for her son or whatever other person that caught her fancy. I wouldn’t call her role model of the year, but she didn’t seem much worse than the average person. We’re all imperfect, though some more than others. He then proceeds to compare her with a fly spreading germs over society, and making it rot from the inside out. To be honest, I don’t think that makes any sense. I found the men at fault, not Nana. She takes advantage of them, yes, but the men in Nana are insanely obsessed with their penises and where to put them in. You can hardly blame a prostitute for men that are crazy enough to sell their entire estates to bring her presents, even though she never blackmails them or forces them into anything. The society was rotten as it was, it didn’t need any Nana-germs to become ruined.